Homespun charm, dreamy rooms to overnight in and a five-star breaky - there's nothing not to like here. 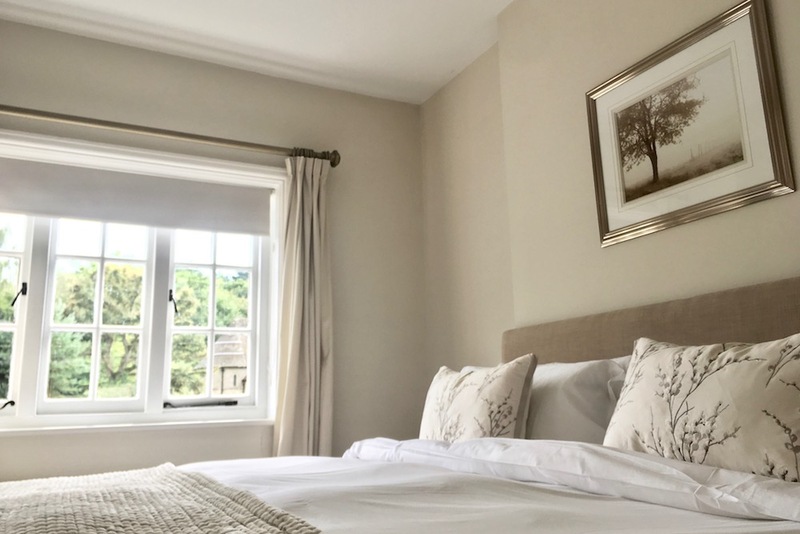 In the pretty chocolate box village of Peaslake – between Guildford and Dorking – you’ll find the boutique Hurtwood Hotel. 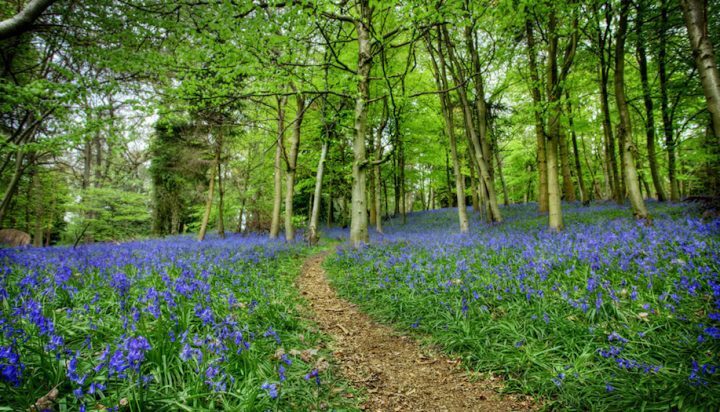 If you leave it up to the sat-nav to guide you in, you’ll no doubt end up traversing narrow country lanes, so despite being only five miles from Guildford it feels like you’re much further into the depths of the countryside. 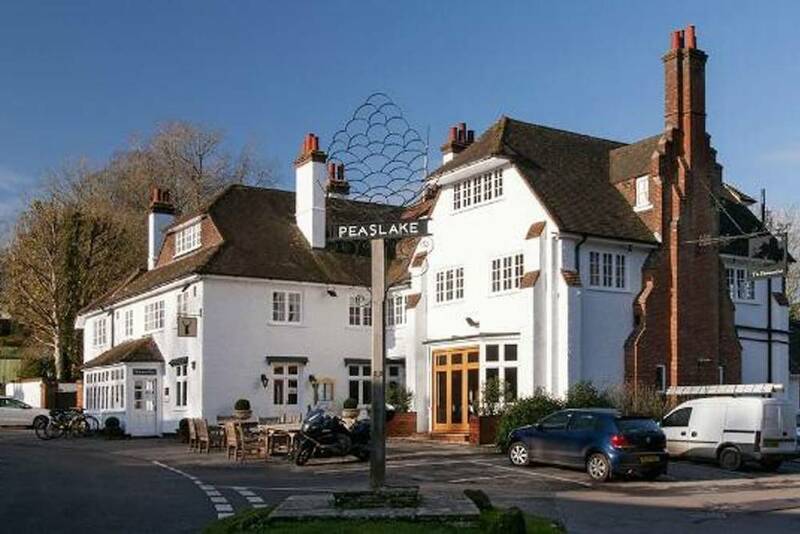 Peaslake is idyllic, and feels like a throw back to older times with it’s quaint village store, community hall, village school, pub and bike shop. It’s surrounded by The Hurtwood – 600 acres of woodlands and heath – which is like catnip to the mountain biking brigade (hence the bike shop) who descend on the area every weekend. There’s a real home-from-home quality to the Hurtwood Hotel – from the warm welcome to the cosy styling. The former inn is more than 100 years old, but the decor isn’t fusty or old-fashioned. The decor throughout is in relaxing neutrals with stylish features like bold mirrors, artwork and antique furniture. There are big comfy sofas in the lounge area, along with a television and magazines, books and games. There’s a small kitchenette with a fridge and extra tea and coffee supplies, as well as wine glasses and a corkscrew. Wine is available from reception, or you are welcome to bring drinks back from the Hurtwood Inn, next door. There are 13 bedrooms here – each individually decorated in a palette of a light-tones – pale blues and greens, stone and taupe. 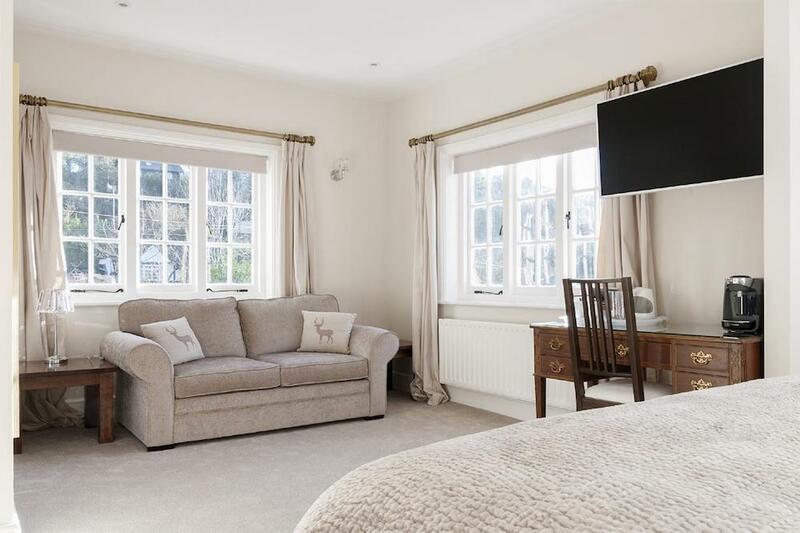 Rooms are classed as Deluxe, Superior and Classic and all come with a sofa or armchair, coffee machine, smart TV and Cole and Lewis toiletries. I took my mini Muddy along for relaxing girly overnighter – and it was the perfect set up for us. 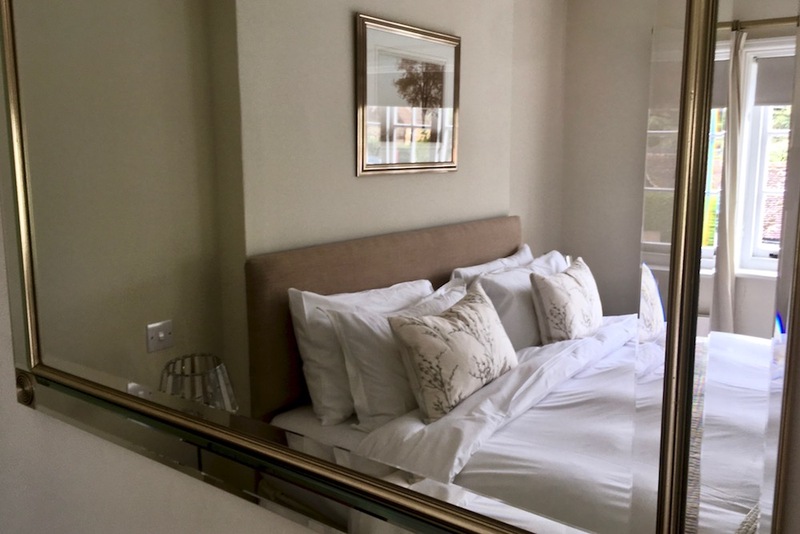 We were in Room 1 – a Deluxe room with a super king-sized bed, and after a drink and a light bite at the pub next door, it was the perfect place snuggle with a girly Netflix film on the flatscreen TV. Romantics should request room 4 with the four-poster bed. 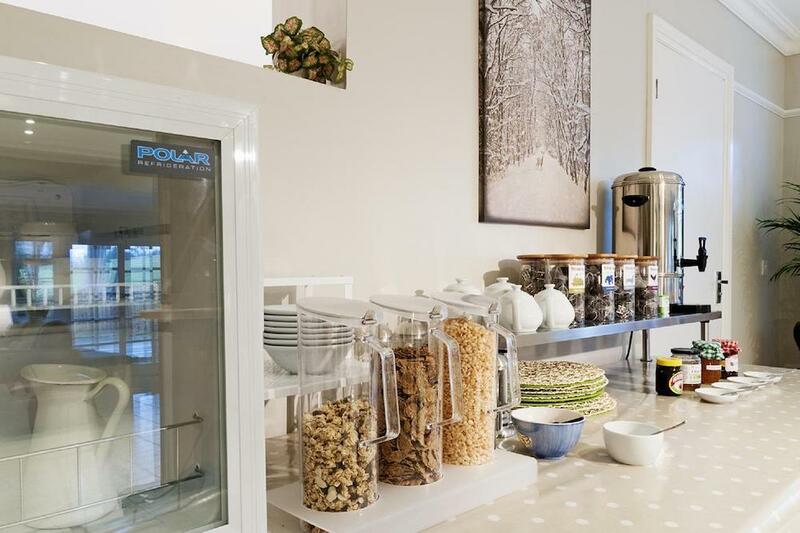 The breakfast here is five star and consists of a Continental buffet with fresh pastries, cereals, juices, yoghurts and fresh fruit, and a cooked-to-order full English of bacon, sausage, eggs, mushrooms and tomatoes is cooked to perfection. There’s also fresh cafetière coffee, a variety of Tea Pigs teas and hot chocolate – which the mini Muddy particularly liked. Yep, it’s kid friendly. I shared the super king with my tween, but there are twin rooms available as well as a Deluxe suite that has a super kingsize bed and a sofa bed. Z beds cost £10 a night and cots are free. 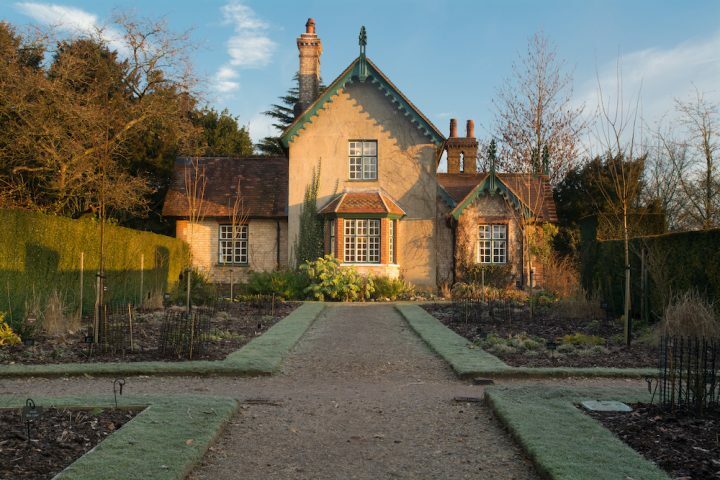 As well as the nearby walking and cycling routes, Leith Hill Tower is not far andthe National Trust properties of Polesden Lacey and Clandon Park are also a short drive away. England’s largest vineyard, Denbies is situated just outside Dorking, and both Guildford and Dorking have good shopping and cafes. Good for: Couples looking for a sneaky getaway, walkers, cyclists, families. 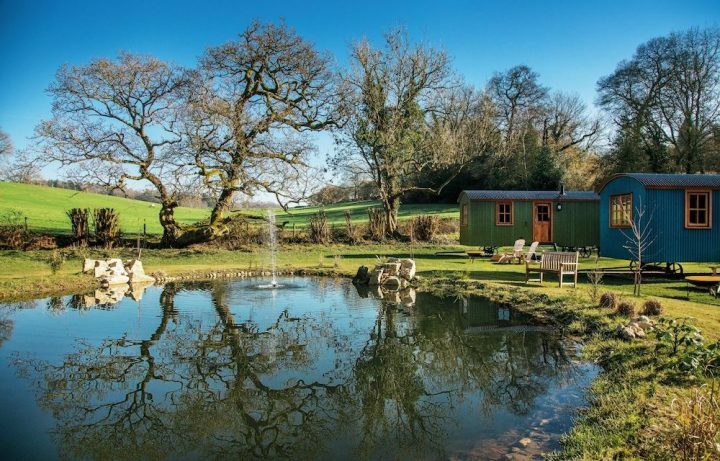 Not for: You’re right out in the countryside here so if you’re after a more urban hotel – this probably isn’t the one for you. The damage: from £85 a night for bed and breakfast. Hi there, is The Hurtwood dog friendly (I have a small, clean, very friendly Italian Greyhound)?